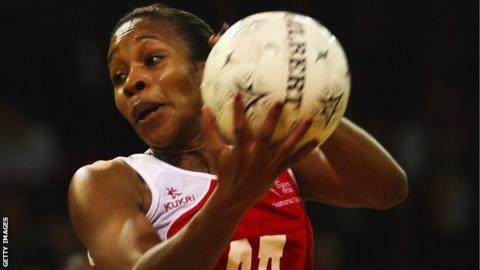 England netball captain Pamela Cookey will miss the Commonwealth Games in Glasgow after rupturing an Achilles. The Team Bath attacker, 29, was injured during Saturday's Superleague play-off defeat by Hertfordshire Mavericks. An England Netball spokesman said: "Unfortunately, further consultation has confirmed the devastating news that it is likely Pamela will not be fit in time to lead the team this summer." Cookey tweeted: "Ruptured Achilles. Devastated doesn't even come close." She told BBC Radio 5 live: "The whole squad has been training so hard. I'm more disappointed for the team - not to be part of it is a big blow. Everything was going well, so to hear the news broke my heart a little bit. "I'll be back, more determined than ever, and will use the rehab time to get stronger. I have the operation on Friday and then I can set plans to get fit again. "The team can definitely win a medal in Glasgow. They have been awesome and are all upset and gutted by this news, but they know how determined I am. It was announced last month that Cookey would not be joining the England squad on their tour of Australia next month, which will act as their warm-up for the Commonwealth Games. Instead, she was due to continue her training at her base in Bath while also fulfilling work commitments. England are ranked third in the world and hopeful of medal success at the Glasgow Games, which open on 23 July, having won bronze at the last two Games.